Ireland’s low-fare airline Ryanair faces more legal challenges in Norway, after two flight attendants announced they’re filing lawsuits over their working conditions and abrupt dismissals. Backed by Norwegian labour organization Parat, their complaints offer insight into how the airline treats those working for it and Parat firmly believes Ryanair has violated Norwegian law. Rival airline SAS added to the latest complaints against Ryanair by charging on Wednesday that Norwegian authorities have been far too lenient in monitoring Ryanair’s operations in Norway. Questions are also flying over whether Ryanair has violated Norwegian tax law, and government officials are promising a probe. Prime Minister Jens Stoltenberg, confronted with the turbulence around Ryanair on the floor of Parliament (Stortinget) Wednesday, denied his Labour government has been too passive and said he takes the complaints around Ryanair seriously. “This government fight social dumping, but within the airline industry, it’s extra complicated when it comes to countries and rules and free movement of labour,” Stoltenberg said. 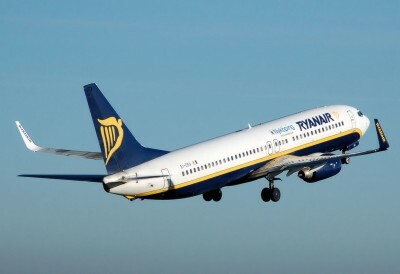 He said his government is thus in the process of clarifying laws and regulations tied to airline labour, after opposition politicians from the Conservative, Progress and Christian Democrats’ parties criticized the state’s failure to follow up on complaints around Ryanair. The contracts document how the flight attendants had to pay for their own training, with the costs of it deducted from the first six months of their paychecks. They also document how they can be fired with no or little notice, how they never receive sick pay and how they receive no pay when they must be on standby at home. The contracts in DN’s possession also show how no time away from work is paid during the first year of employment and, perhaps most importantly, how they’re employed and paid not directly by Ryanair but by various crewing agencies in Ireland including Crewlink Ltd and WorkForce International. They thus paid tax to Ireland and nothing to Norway, even though they were based at the Rygge airport outside Moss and thus lived in Norway. When plaintiff Alessandra Cocca was fired just before her 12-month trial period was due to end (allegedly for failing to use the aircraft public address system correctly and, on one occasion, allowing passengers on board too early) she wasn’t even offered a ticket to her original home in Italy. “Cabin crews have no protection, so folks are afraid they’ll lose their jobs on the spot,” Cocca told DN. Her contract, which she claims she didn’t receive until after she’d completed Ryanair’s training program, revealed that she was subject to immediate dismissal during her first three months on the job, with one week’s notice after that and with two weeks’ notice after two years on the job. She said she thought the wages she’d been told she’d get (around EUR 1,400, or NOK 10,400, a month) were acceptable. “That would have been fantastic at home,” Cocca said, only to find that more than half of it went towards paying for housing alone in Norway. “We knew the cost of living was higher here, but we thought we’d be okay.” Instead, she and her colleagues often had little money for food. Cocca and another dismissed flight attendant, who only wanted to be identified as Zuzana for fear of reprisal, said they’re breaking the confidentiality around their work contracts not just because they feel they’ve been poorly treated but because they want to help other colleagues and force Ryanair to change their practices. “Ryanair exploits folks who need jobs, and does whatever it wants,” Zuzana told DN. Scandinavian Airlines (SAS) has been complaining about the tax issues swirling around Ryanair for months and finally seems to be getting some response from state authorities. Ryanair has claimed that since its workers are legally employed by Irish crewing agencies and their aircraft registered in Ireland, they’re immune from Norway law and taxes. Both the Norwegian tax authority Skattedirektoratet and the labour ministry now contest that. NRK reported this week that both believe Ryanair’s crews based in Norway should pay tax to Norway, be members of the social welfare and health systems and be entitled to all other rights of employees regarding pensions, sick leave and welfare programs. Ryanair nonetheless faces challenges from the state as well: “We want clarification of operations in an industry that’s steadily more international,” Geir Pollestad, a state secretary in the transportation ministry, told NRK. “It’s good that other industry players come forward and take up these issues. It’s important to secure terms of competition.” SAS, still partially owned by Scandinavian governments, hasn’t been directly threatened by Ryanair because Ryanair doesn’t appeal to the business travelers who still form SAS’ most important customer base. SAS nonetheless worries the state has been too slow to challenge the “creativity” linked to “bases of convenience,” a practice that Norwegian Air has been introducing as well in an effort to compete against other low-fare carriers.